Photographs by Thomas Roma, text by Robert Coles. powerHouse Books, Brooklyn, 2008. Hardbound. 112pp., 64 black and white illustrations. 6¼x8¼". 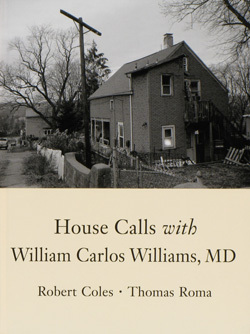 In House Calls with William Carlos Williams, MD, Robert Coles writes: "Dr. Williams would look at buildings, doors, windows, long and hard before he actually entered a place to meet people." When you open the pages of this book, you encounter those same buildings, doors, windows and people in the more than sixty duotone photographs from Thomas Roma accompanying Coles's text. I phoned Mr. Roma to find out more about how the work came to be made — he related a story about meeting Williams's grand-niece, who was able to give him specific addresses that Williams had visited on his medical rounds. Roma told me that he spent one summer driving around the pre-dawn streets Williams had traveled in North Jersey, from Rutherford to Paterson, morning to evening. He read Williams's famous long poem, Paterson, while a resident at the Virginia Center for the Creative Arts, taking careful notes by day and trying to imagine at night the "things" that appeared in the poetry. Eventually Roma decided to follow the nouns, "If Williams mentioned a 'wrapped fig tree' there'd be a photograph of a wrapped fig tree, and if Williams mentioned a 'fire escape,' there'd be a photograph of a fire escape." The collaboration with Robert Coles came about when Roma sent his black and white prints to Coles, who wrote back about the vivid memories of traveling with the doctor that the photographs had rekindled. Coles got to know Williams between 1950 and 1953, when he was a medical student in New York City — he had sent the famous poet-doctor a college essay he had written and received an invitation from Williams to come and meet him. Interspersed throughout the book are several of Williams's famous short poems, which complement the work. Coles relates many of the things he remembers Williams saying to his patients and his homespun wit. The young Coles was under instructions from Williams to "Look around, let your eyes take in the neighborhood — the homes, the stores, the people and places..." Fortunately for us, this is where Roma's photographs come to our aid, along with Coles's detailed reminiscences. House Calls with William Carlos Williams, MD. Photographs by Thomas Roma, text by Robert Coles. Published by Powerhouse Books, 2008. Roma depicts, in his photographs, the same things Williams strove to capture in his poetry. Filling the frame with the subjects of life, the tired, poor streets of disrepair — he is skillful at pulling the viewer's eye into the frame, at exploiting leading and expressive lines, contour and geometric form. 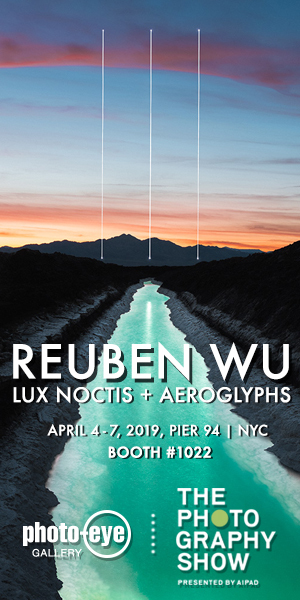 There are photographs of the industrial banks of the Passaic River, filled with the wild and abstract form of nature against the geometry of man. He captures the way the natural world takes over, invading the city despite efforts to prune it back. Mark Hillringhouse's poems, interviews, articles, essays, book reviews and translations have appeared in: the American Poetry Review, Columbia, the Literary Review, New American Writing, the New Jersey Monthly, the New York Times, the Chicago Tribune, View Camera, and in many other publications and anthologies. He has been twice nominated for a Pushcart Prize and has been awarded several fellowships from the New Jersey State Council on the Arts.